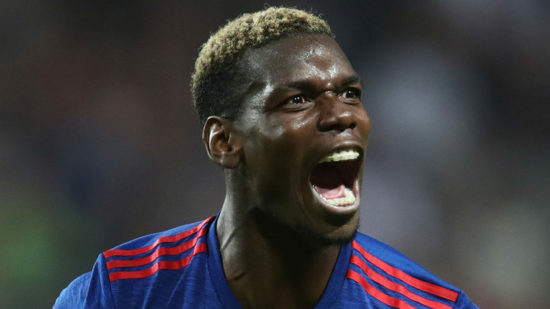 Manchester United talismanic midfielder Paul Pogba has given fans of the club something to cheer about if his latest Instagram post is anything to go by. The 24-year-old France international suffered an hamstring injury in United’s opening Champions League game against Basel last month and was initially feared to be out for a long time, as reports suggested that he would require surgery to correct the situation. The former Juventus man who endured a tough start to his Old Trafford career last summer following a then world record move of £89m has been in inspired form before injury stopped him. He had looked reborn with the added defensive shield of Nemanja Matic alongside him in the middle of the park and looked set to have a big season given that he had netted twice in the first four league matches of the season. He has also struck a good on-field relationship with his close friend, Romelu Lukaku who has hit the ground running since his £75m move from Everton in the summer. He shared a video of himself in gruelling workout sessions, labelled the “Bruce Lee style” exercises at United’s Carrington Training Ground. Jose had raised fears about Pogba’s comeback saying last week that his injury was long term and put him alongside the likes of Rojo and Ibrahimovic who are on the long way to full fitness. Pogba is an all-round midfielder that can play as a defensive midfielder, central midfielder and further forward. He combines skills of passing, interception, shooting and lately deep runs from deep that enables him to join in attacking situations. He made 51 appearances last term for the 20-time English champions, scoring nine goals and won the Europa League and EFL Cup in what was a decent first season back at Old Trafford.